Fourteen-year-old Michael Stevens has never been ordinary; no orphan who hears music coming from rocks considers himself a typical teenager. But life gets a lot more complicated when two-foot-tall, albino, doll-like men sneak into his room one night, transforming the harmless music into a frightening ability he cannot control. With the help of a mysterious drifter, an annoying girl he's accidentally mutated, and one of those creepy doll men, Michael finds himself in the middle of a war that could forever change the world he knows - reconstructing the very definition of humanity. Check out AWOKEN'S super-cool cover!! I am so excited for this novel! It already sounds like it'll take the young adult genre by storm. Let me know what you think in the comments! Timothy W. C. Miller was born in Wisconsin in 1974. He moved to the Green Bay area when he was eight and proceeded to shock his schoolteachers with his intellect, his lust for reading, and his seemingly insurmountable lack of interest in personal academic achievement. He left home at fifteen, worked at a dairy farm, a meatpacking plant, a pickle factory, a casino, and a rowdy nightclub as a bouncer. At nineteen, he settled down as a repair technician for a telephone company. While repairing lines in New Orleans in the aftermath of Katrina, he began including short stories in the letters he sent home to his eldest daughter. When he returned from Louisiana, he brought back a stuffed alligator and an irresistible urge to keep putting words to paper. He bought a laptop, learned to type, and soon found the course of his universe forever changed as worlds and titans rose and fell beneath his keystrokes. 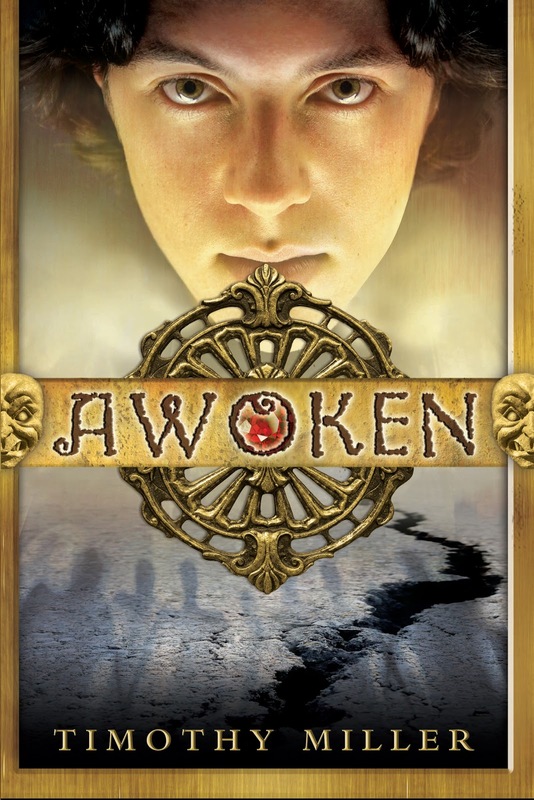 His first YA novel, Awoken, is scheduled for release in August, 2013. I did the cover, but I can't wait to read it!! !